These gorgeous fountain pens are almost too nice to use. Almost. Featuring a matt silver body with gold plated fittings, they offer the look and feel of pure luxury ... but in a high performance writing instrument. The iridium point nib of these pens provides a perfect flow of ink with every stroke, inviting you to use it at every opportunity. They are supplied with a standard blue ink cartridge. But there's more! 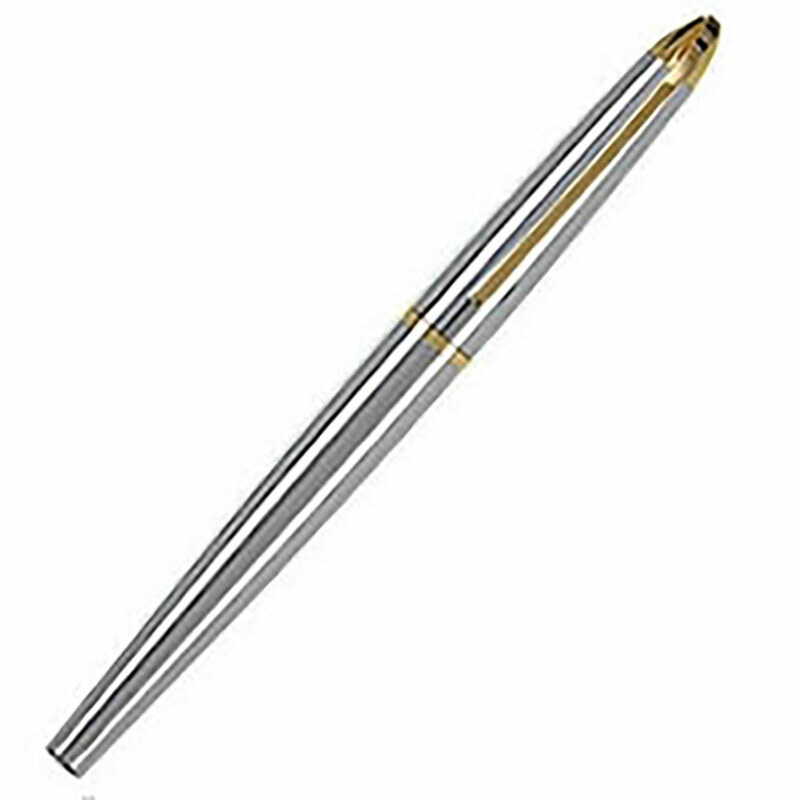 These fantastic gold plated fountain pens are supplied complete with an aluminum presentation case, ideal for engraving with a corporate logo or company name, and we offer free text and logo engraving of the cases. You just won't get better value for such a quality pen and case presentation set! See below for pricing information.